Bring Your Valentine to Dance! Our favorite week of the year is coming soon! 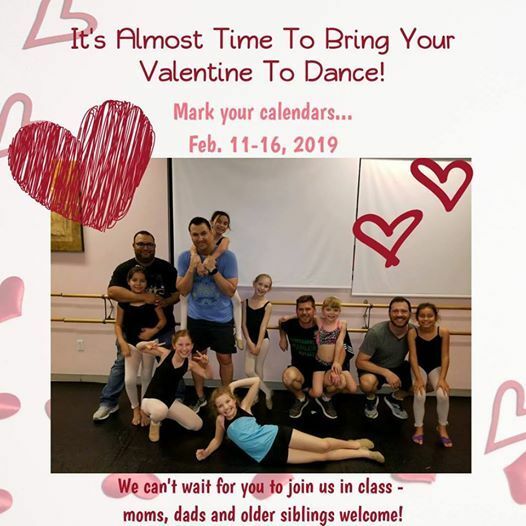 Mark your calendars and Bring Your Valentine to Dance February 11-16! We can’t wait to see all of you moms, dads and older siblings in class with your dancer. Spread the love and experience the joy of dance! Don’t miss the opportunity to make new memories with your dancer.